EURJPY is under the influence of some economic reports such as the Retail Sales y/y in Japan and Spanish Flash CPI y/y, German Prelim CPI m/m, and GfK German Consumer Climate in Euro zone. This pair started today with bullish bias and has created two bullish candles. The support rests at 112.830 with resistance at 113.610 which both lines are below the weekly pivot point at 114.98. The EMA of 10 is moving below the EMA of 75 between the support and resistance lines. 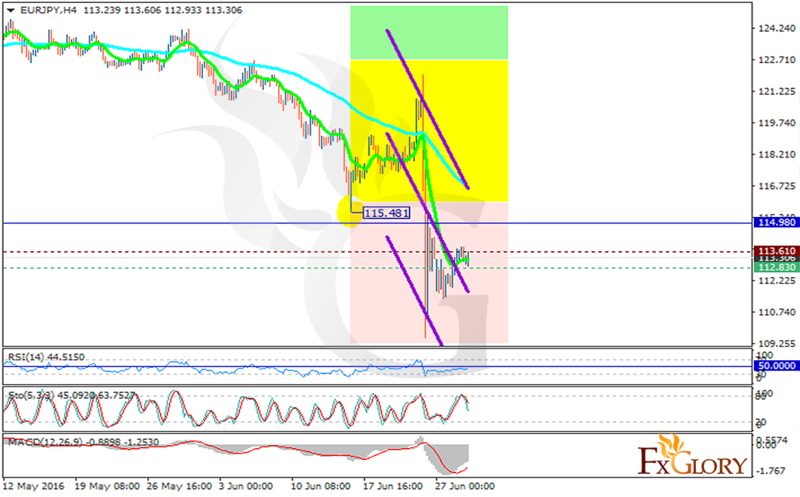 The RSI is below the 50 level, the MACD indicator is in negative territory and the Stochastic is showing downward momentum. The pair may rise to the resistance zone but then there would be a good chance for sellers to open their positions targeting 109.